It’s been a week, right? Last week felt like the longest week ever (despite it being a shorter work week) and this week seems like it’s dragging by (it’s only Tuesday?!) before my eyes. 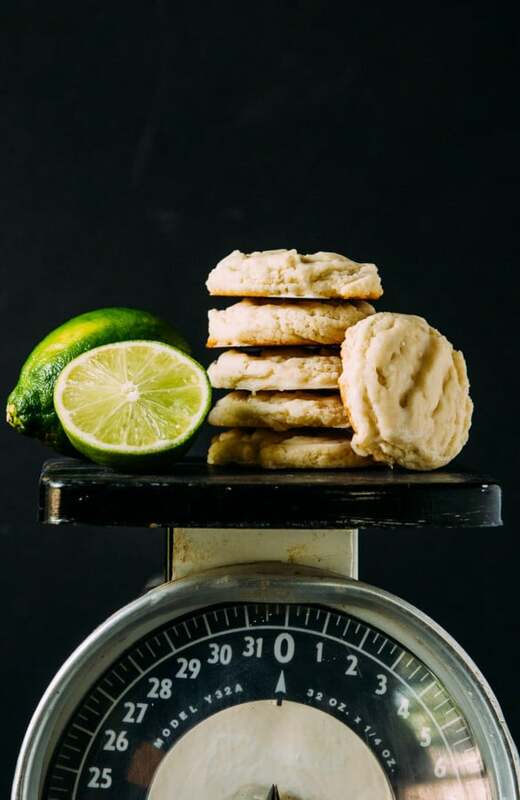 I had full intentions of sharing this recipe last Friday, especially since my coworkers were huge fans of these lime sugar cookies and ended up fighting over the last one. 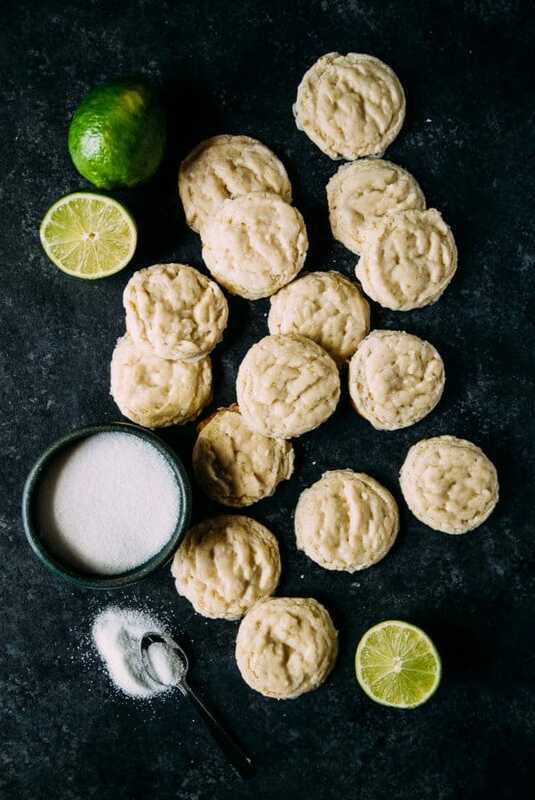 But, life happened and all of a sudden it was too late in the week to give these sweet lime cookies the treatment they deserved, so here we are! Long story short, last week was long, this week will be better, cookies are the solution to everything. Forever and ever amen. 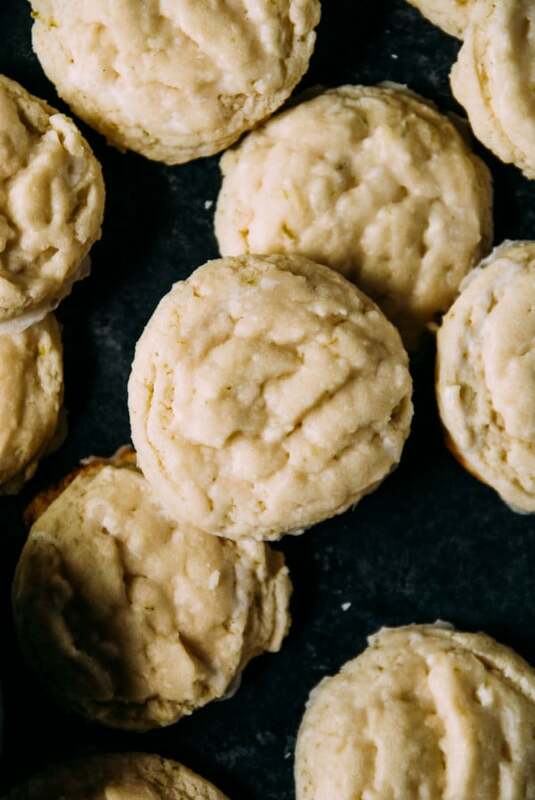 These lime sugar cookies came out about after a weekend of recipe testing fails had me frustrated, burnt out and just ready to throw in the towel. I had given three tries to a lemon almond cake that I’m still determined to conquer and was feeling like I was going to come out of the work-heavy weekend with no successful recipes to show for it. Then, as I was scraping my second unsuccessful cake into the garbage can (too lemon curd-y), it came to me. Lime sugar cookies! I knew I had a funfetti sugar cookie recipe in my arsenal that was always a hit, so why not swap out the sprinkles for lime and cover the whole thing in a powdered sugar glaze? They ended up being just the baking win I needed, turning out perfectly chewy, crispy and just a touch flufffy, reaching peak sugar cookie heaven in the end. The glaze was a last minute addition, thinking I needed just one last component to bring the whole thing together. When I took them into work a few days later they were described as ‘like a key lime pie, but in cookie form’, which really just hit it right on the head. My only real words of wisdom for these lime sugar cookies is to NOT skip the scooping and freezing of the cookie dough step! The extra time and effort are really what take the cookies from ‘could turn out great’ to ‘consistently turn out amazing’. 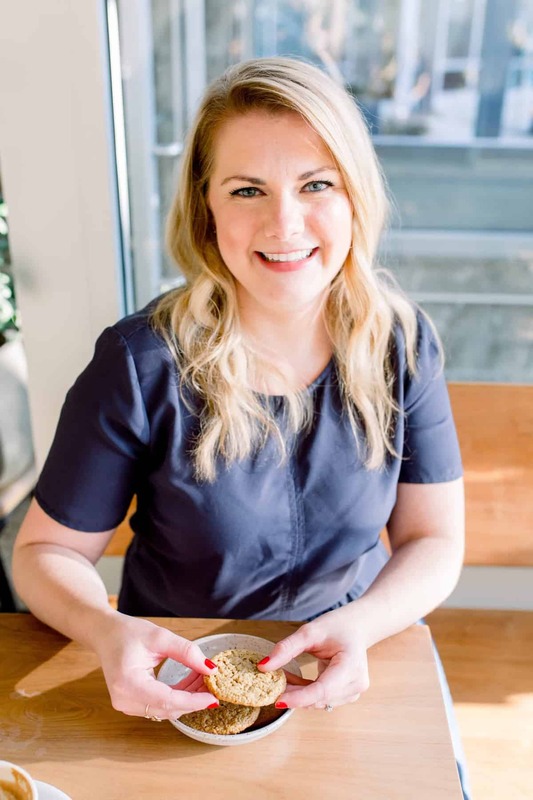 I’ve found that scooping out and freezing the dough before baking consistently makes the best cookies (with a few tips from this post) and almost always takes away some of the factors that makes cookies go awry in the baking process. I hope these are a summery addition to your cookie arsenal. Judging by the popularity of them with my friends, they look like they will be a staple in my dessert rotation all summer long! 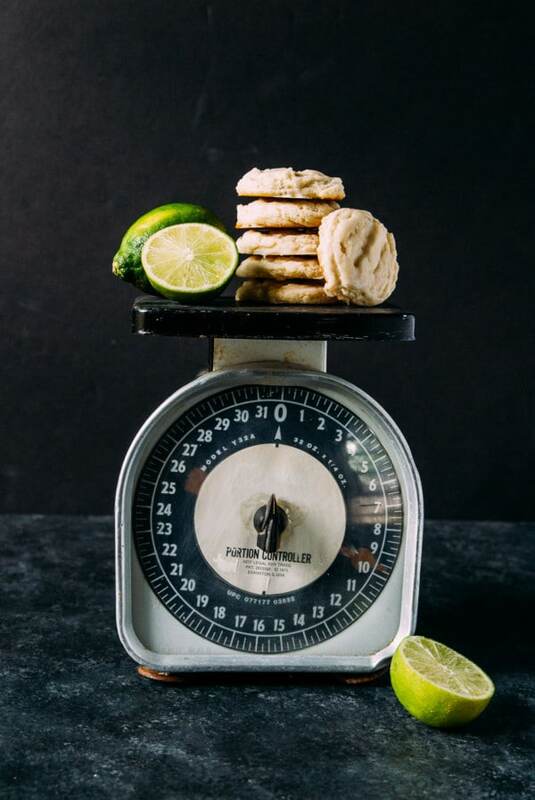 Vegan lime sugar cookies are the perfect way to kick off summer with a heavy dose of fresh lime in a chewy, perfect vegan sugar cookie! Combine all dry ingredients in a small bowl, whisk together and set aside. In a medium bowl, beat together the coconut oil and granulated sugar until smooth. Beat in the apple cider vinegar, almond milk, and lime zest and juice until incorporated. Add dry ingredients that were set aside and mix on low until dough starts to form. 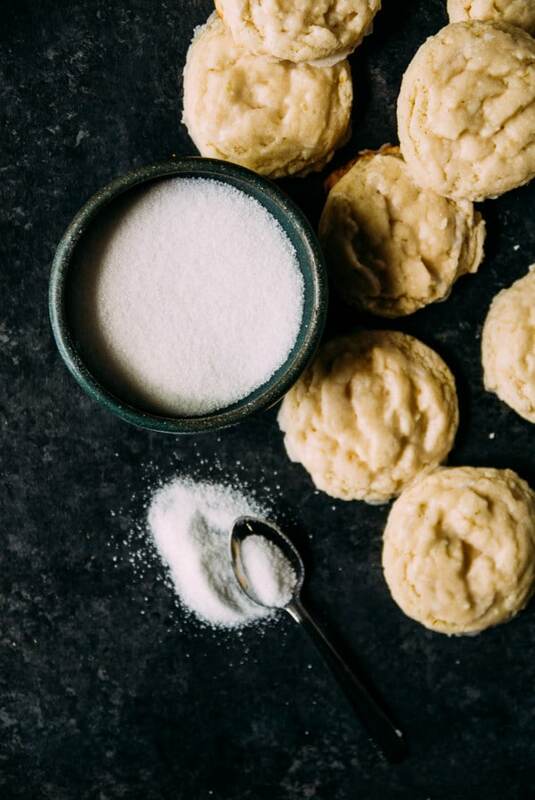 Scoop cookie dough into balls (about 2 tablespoons worth). Set scooped out dough balls onto cookie sheet and freeze for at least 2 hours before baking. After cookie dough has chilled, preheat oven to 350 degrees F. Bake cookies for 9 to 10 minutes, or until cookies are puffy and set. Set aside to cool. While cookies are cooling make the powdered sugar glaze by whisking together the powdered sugar and almond milk until smooth. Add more powdered sugar as needed to make the glaze thick enough. Drizzle over the cooled cookies and serve. Don’t skip the scooping and freezing the cookie dough step! It’s important to making sure the cookies turn out chewy, crispy and perfect. These look fantastic! Can’t wait to make them. I do not see the instructions for the sugar glaze for the cookies though. Aaaagh I just love these photos! These cookies look like absolute perfection…definitely a beautiful treat to share with friends and family! 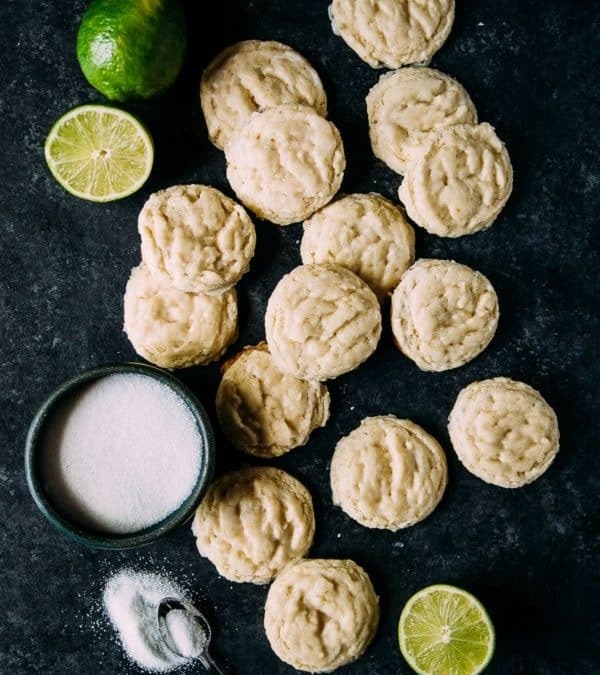 These look so yummy; as a lime lover, I’ve been looking for just such a recipe – thanks! I’m glad you are a fellow lime lover too! Wow so intrigued by this combination of sweet and lime! I’m sure these are amazing, will definitely have to try them out! They are my favorite as of late! Is this made with “solid” coconut oil, or liquid? This is made with solid!